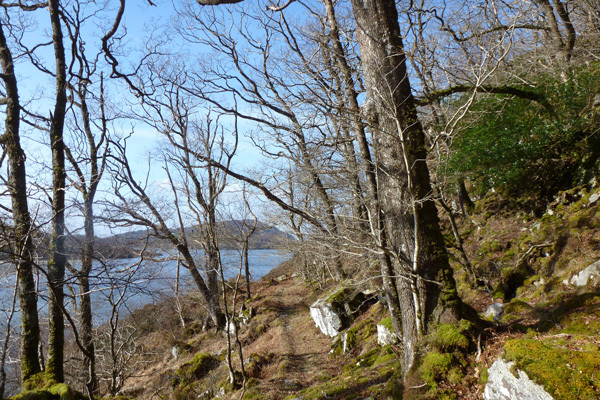 A pleasant, scenic walk and interesting walk along the old track on the north side of Loch Moidart that formerly connected Glenuig and Kinlochmoidart. 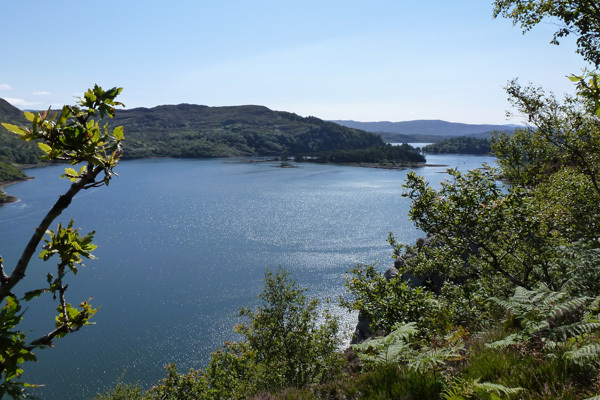 There are excellent views of Loch Moidart on route. The area has a long history and turbulent history of occupation, including an Iron Age fort (An Dun), pre-historic ‘hut circles’, charcoal and kelp burning sites (recessed platforms) used during 18th and 19th centuries, lazybeds and ruined buildings. There are also some coffin cairns along the route. The Iron Age Dun is thought to have been constructed to protect local farmers in their circular wooden huts with turf roofs. The fortified hilltop consisted of a number of encircling drystone walls. 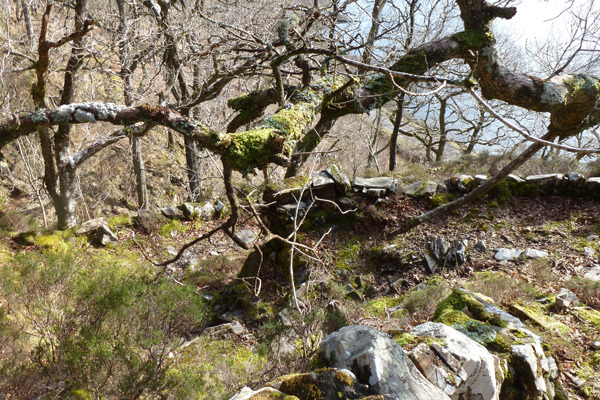 An Dun is also known locally as 'Plate Rock' as it is rumoured to have served as the hiding place for valuables of the MacDonalds of Kinlochmoidart (supporters of the Jacobite Uprising og 1745), following the defeat of Bonnie Princes Charles at Culloden in 1746 (see Moidart History Walk 3). Execution, the burning of Kinlochmoidart House and the confiscation of estate and assets was the tragic outcome for the family. More recently, the track has been used for the six day motorbike trials, with the notorious Devils Staircase some 600 metres from the start of the path. 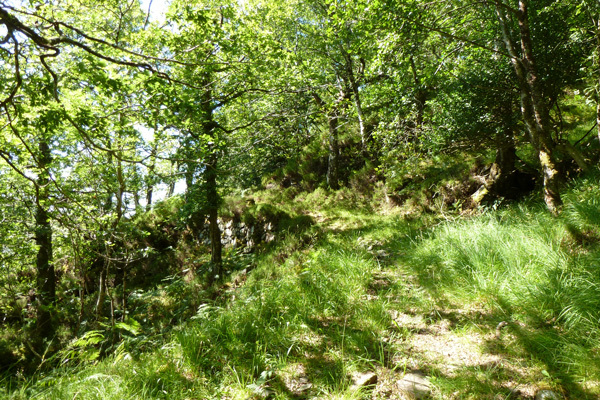 The old road is longer used for the trials, but the path is still a popular attraction walkers and fans of the trials alike. 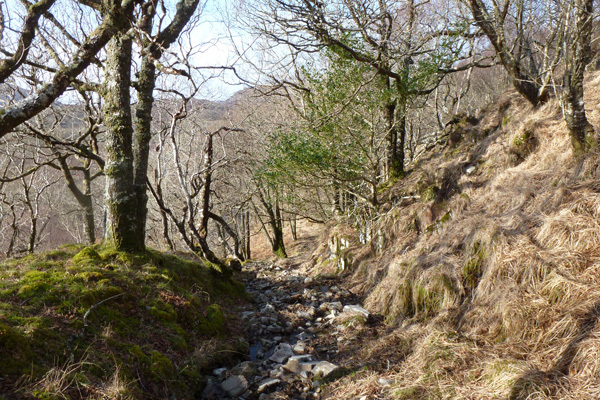 The route can be a little muddy and vertiginous in places, but it is well worth the effort. 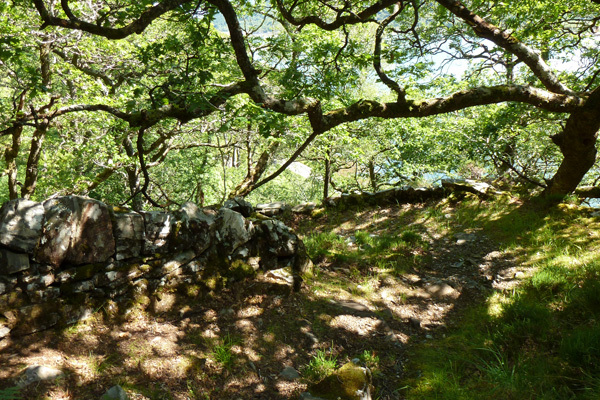 See Moidart History Walk 3 (A Walk to An Dun, Moidart Local History Group) for a detailed historical perspective. 1. The track is marked on OS maps as a footpath/track and can be joined at various points along the road. 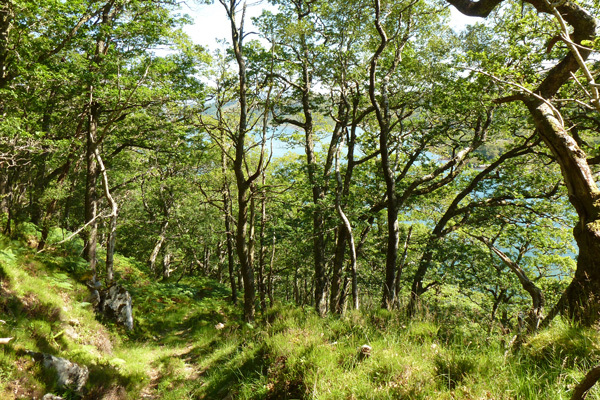 We recommend starting by the old jetty at Kinlochmoidart where the start of the path is marked by a small stone cairn. 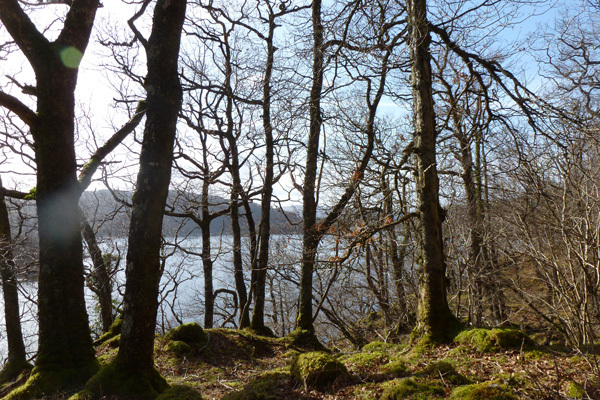 The route ascends gradually and runs parallel with the A861 through Atlantic oak woodland. There are some steep sections. 2. 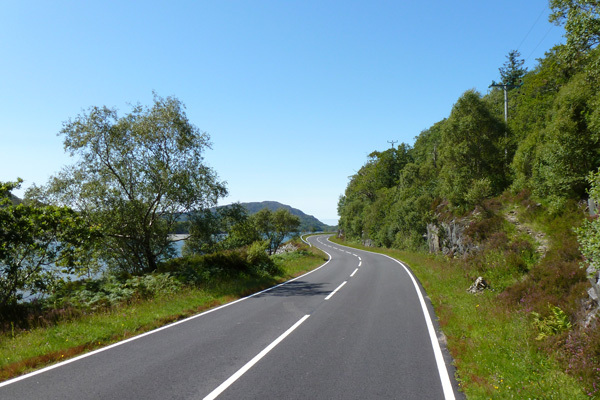 When the old road rejoins the A861 you may either retrace your path or walk back along the road. 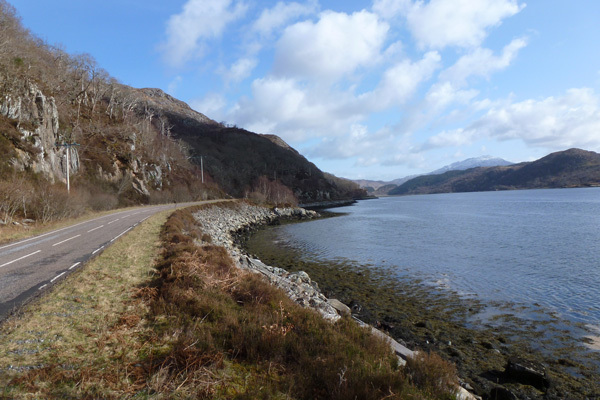 The road runs along the sides of Loch Moidart and offers good opportunities for spotting otters, especially on the incoming tide. Although a double track road, this section of the A861 has a resonably wide grass verge to walk on and it is not particulary busy. However, you should take due care and attention if returning by the road route.